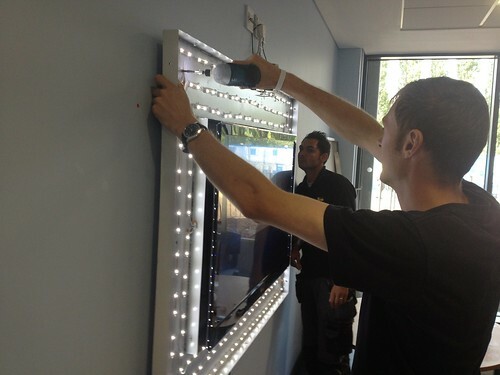 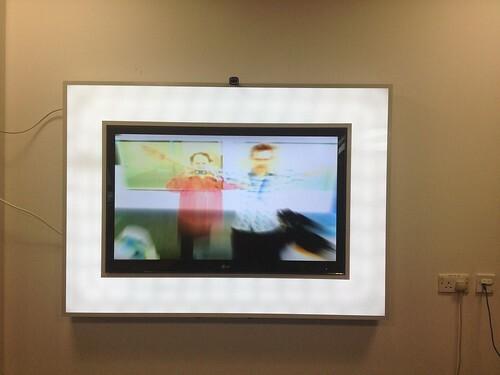 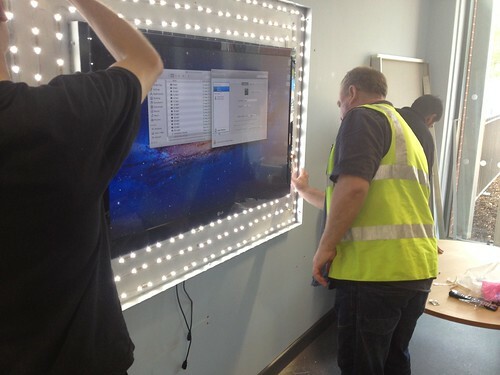 The Interactive Welcome is a permanent three-screen Memory Mirror style installation at Penn Fields School in Wolverhampton created by Sean Clark and Geoff Broadway. 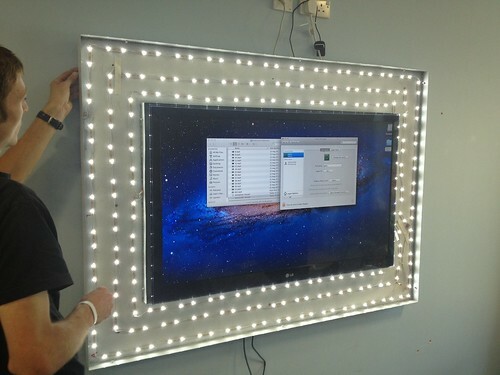 It features three connected artworks that are able to operate as individual Memory Mirrors, as well as being able to exchange information via a network connection. 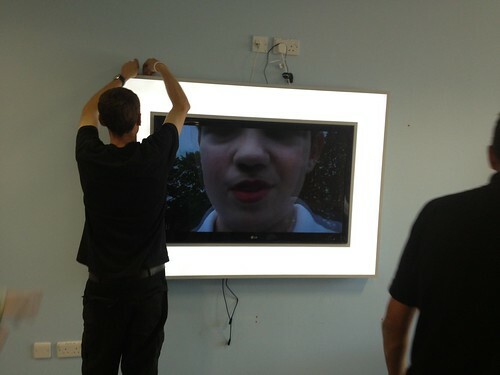 They are able able to present a series of short films produced by the school in collaboration with Geoff Broadway. 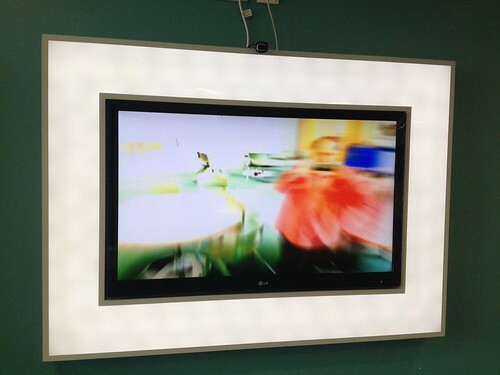 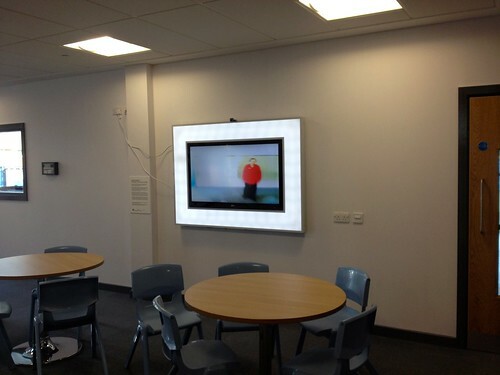 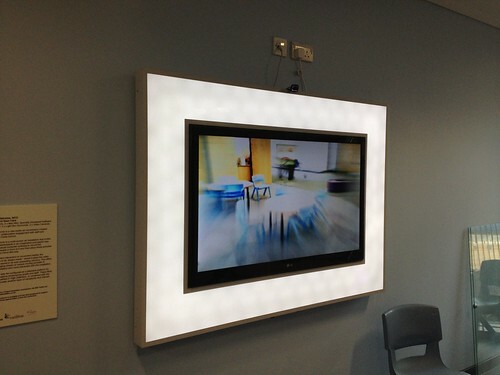 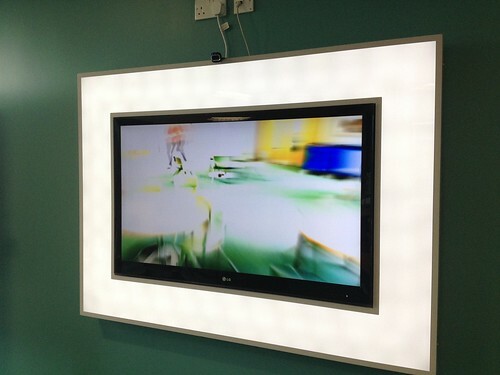 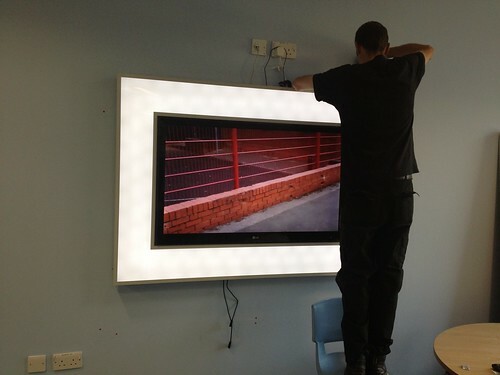 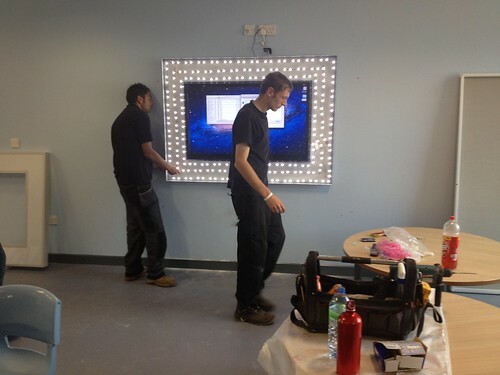 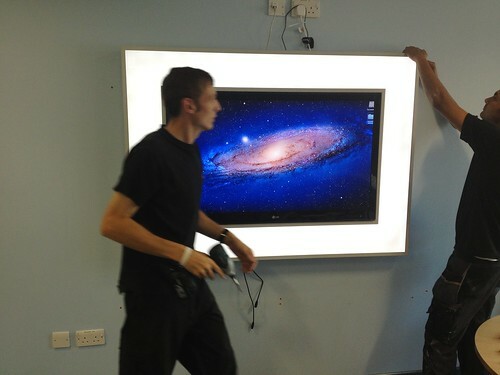 The screens are housed in bespoke 'light box' frames, giving them a strong visual presence and distinguishing them from the many other video screens that are encountered in the school. 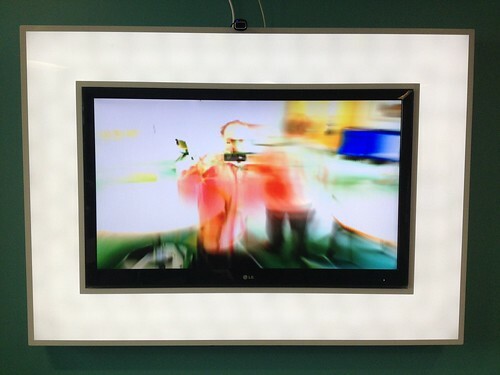 This piece takes the Memory Mirror Cycling 74 Max patch and integrates video streaming to allow the artworks to exchange live video with each other. 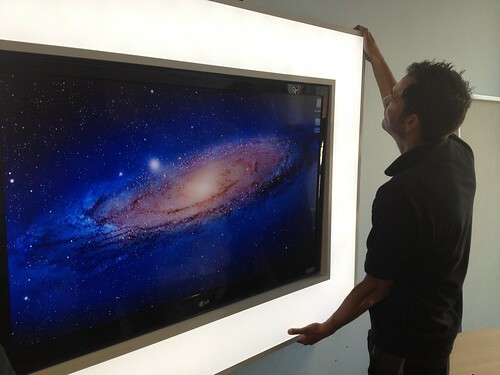 The 52" screens feature custom surrounds which enhance their visual appeal and hide the Mac mini computers that drive them. 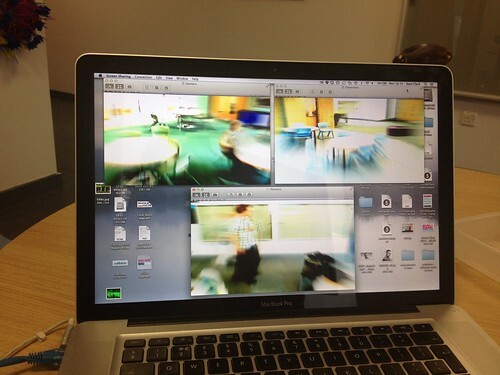 Webcams are discreetly placed above the screens. 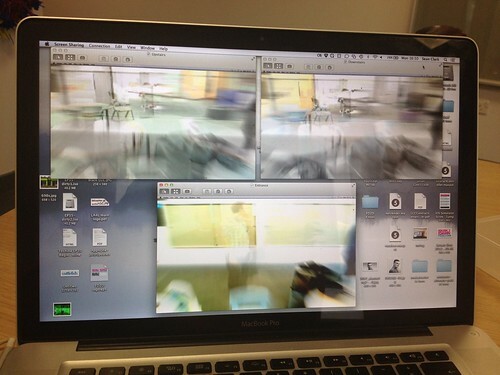 A numeric keypad can be connected to each screen to change configuration settings.